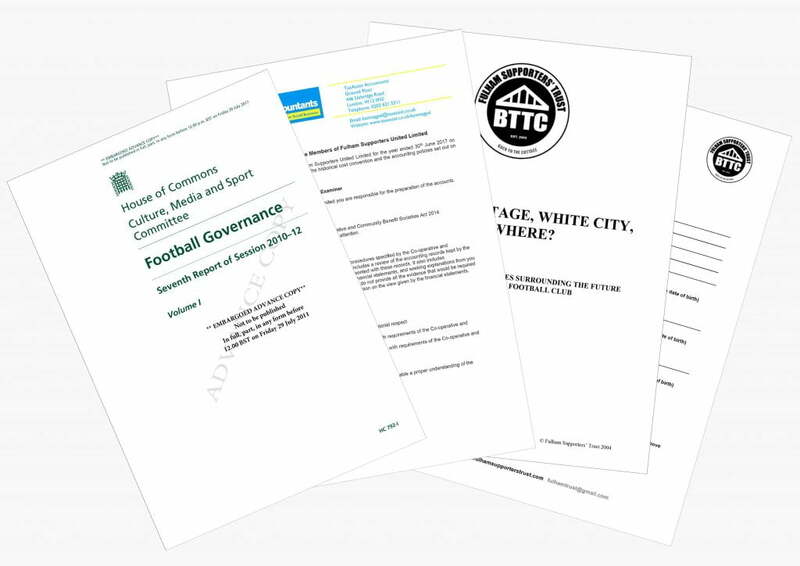 This is the document store for the Fulham Supporters’ Trust. Here you can view all relevant financial and organsiational material. You can also delve into the archive to read a number of interesting articles and reports, some of which date back to the days of Back to the Cottage.